Introduction: xTransit is a name proposed some years ago as part of the New Mobility Agenda to group a broad and varied class of transportation services that have in common that they get people in and around cities in road vehicles, of a wide range of sizes, driven by real human beings, dynamically shared with others, and in best cases aided by state of the art communications technologies — and all of that as no less than the vital supplement needed to offer “better than car” -quality mobility in most of our ever-more crowded, ever-more environmentally stressed 21st century cities, without killing the cities themselves. xTransit services offer an alternative mode of flexible passenger transportation that does not follow fixed routes or schedules. xTransit covers a broad range of service types, including among them DRT (demand responsive transport), jitneys, paratransit (original inclusive definition), share taxis, new taxi/limousine forms, etc. 21st century ICT technologies are changing the name of the transit game. Many of these services operate outside of the formal or (public) corporate sector, which is at once their great strength, and can also be their weaknesses. But the latter can be turned around by wise governance and understanding. We need to give xTransit its chance. PS. 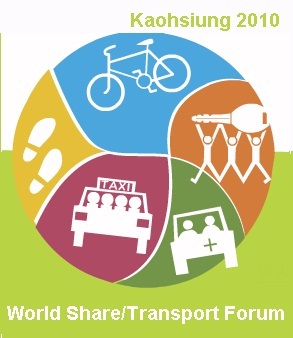 You may also find it useful to consult in parallel with this, the World Streets xCar project which deals specifically with new ways of owning and operating cars (carsharing, ridesharing, etc. etc. ), which you can find amply introduced and commented here at xCars Index . If I live outside of a city — say, in a classic spread suburb, rural area, commuter town or other hard to serve low density area — and if I happen not own a car, or on days when my car is not available, I am going to have an extremely hard time getting to work or wherever it is I need to go this morning. In principle I have a few choices, for example: (a) Get down on my knees and beg for a ride from family or neighbors. (b) Try to find (and somehow get to) a bus or local pubic transport (in a period of ever-decreasing public services and budget cuts, so good luck!). 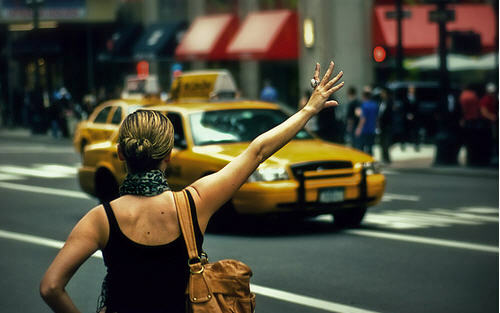 (c) Search out a taxi if you can find one, call, wait for it eventually to show up and then pay a hefty amount. (d) For work trips, and if I am lucky, there may be a ride-sharing scheme. Or, for many less comfortable but still possible, (e) the hitchhiking option. (f) Or do like an increasing number of my fellow commuters and buy a cheap motorcycle. And perhaps most likely of all (g) be obliged to reschedule or forget the trip. But at the end of the day, and all things considered, I am forced to conclude that the reality of life in suburbia and rural areas today is: no car = no mobility. Harsh! But stuff changes.We are entering a new and very different age of technology, communications and mobility, and as American writer Josh Stephens reminds us in the following article, things are starting to look up. 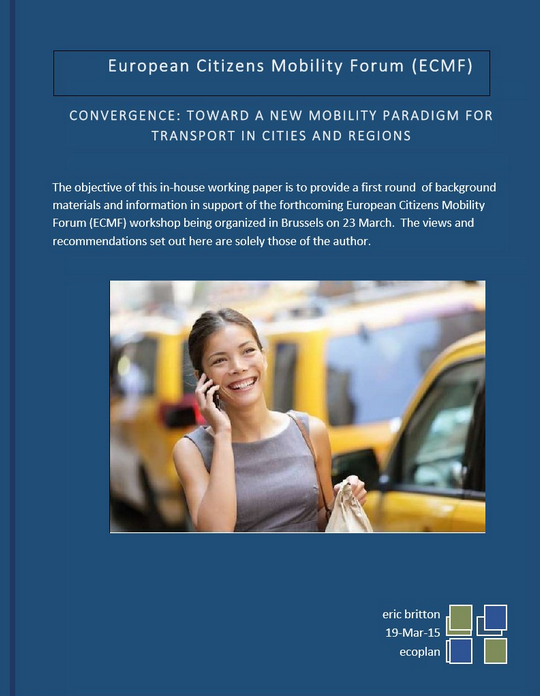 The purpose of this first exploratory workshop hosted by the European Citizens Mobility Forum (ECMF) is to solicit peer reviews, critical commentary and action recommendations on the part of the expert participants on the ideas and proposals set out for the group by the invited speaker. Observations and recommendations both from the vantage of their specific organizations, and more generally to the ECMF as a major organization responsible for collective land passenger transport. The complete text of this working presentation follows. 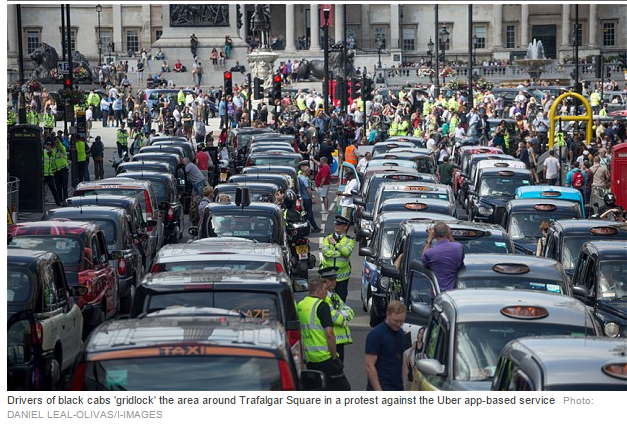 All of the protests taking place at varying levels of violence in different parts of the world against Uber and Uber-like taxi and shared-transport services are definitely not just an example of a one-shot phenomenon that will resolve itself in different ways in different places, and then shortly go away, leaving things largely as they always were in our sensationally inefficient mobility arrangements in and around our cities. there is a revolution going on in our world’s streets, and once this has advanced far enough, it is going to change the paradigm for mobility in and around cities forever. No less! Posted on 15/02/2015 by Eric Britton Tagged *Shared/Mobility2015The Third ForcexTransit	Comments1 Comment on Taxi? There is a revolution going on that is going to change the face of transport in and around cities in a way that no other has in the last century. 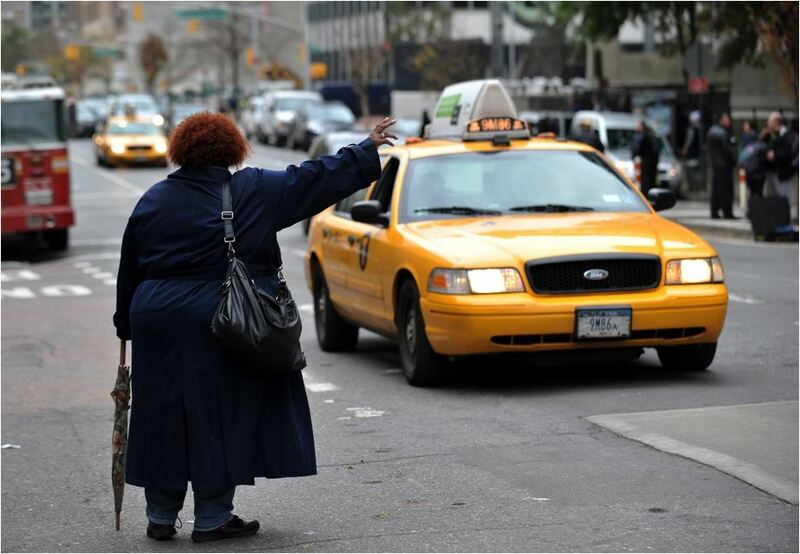 The starting point is that humble taxi that you cannot always find when you need it most — that is to say a rolling metal box with rubber tires, a human being at the wheel, and some kind of engine propelling it along, with or without human cargo. But this thing, this taxi as it is called, is in the process of being reinvented as a rolling, pliant always-on 21st century information system. And of course we are looking into this closely in the pages of World Streets. In eleven short words Ann Hackett has put her finger on one of the most egregious “Worst Practices” in our field. And, as it happens, one that we know enough about to easily resolve.